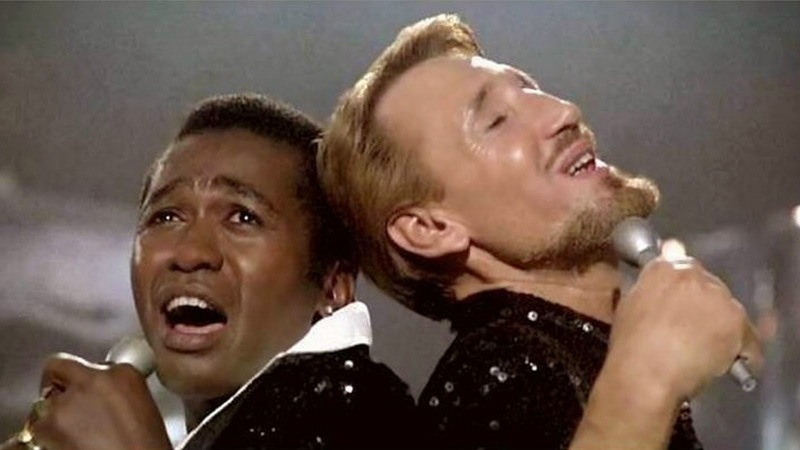 “All That Jazz” (1979) pits choreographer-director Bob Fosse's razzle-dazzle against lead actor Roy Scheider's serene confidence to create a movie musical like few others. Fosse, who also co-wrote the script along with Robert Alan Arthur, takes the autobiographical impulse as far as any feature filmmaker this side of Terence Davies. Joe Gideon (Scheider) is a famous Broadway musical director who has spent most of his life pushing every boundary of personal and professional conduct and now also finds himself pushing fifty. Through flashbacks, we find out that Joe (like Fosse) grew up in show business; an adolescence in the company of burlesque strippers proved to be the ideal apprenticeship for the big stage and also explains the constant charges of vulgarity that dog much of Joe's work. Fortunately the supremely talented Mr. Foss... I mean Gideon doesn't lack for confidence, at least until his heart gives out on him. It's a wonder it held up up so long, having to power a body that has already burned through a dozen lifetimes, not to mention a few hundred thousand cigarettes. Expanding the style he first fully explored in “Cabaret” (1972), Fosse (along with editor Alan Heim, who netted an Oscar for his efforts) wasn't shy about chopping his dance numbers into snippets of motion and gestures and re-assembling the sequence in post-production. The frenetic, kaleidoscopic style thrills fans with its nova-burst energy while frustrating other viewers who would rather see more documentary evidence of an actual physical performance, though it looks positively tame compared to the absurd, fully-mulched extreme to which Rob Marshall took “Chicago” (2002). Factor in the film's complex time-hopping structure, which often returns to a black-clad Gideon conversing backstage with a very sympathetic angel of death (Jessica Lange), and it's not hard to understand why the film has sometimes been described as both indulgent and excessive – by supporters as well as detractors. Roy Scheider provides the calm amidst the sensory maelstrom. He imbued every role he ever took with instant credibility, whether blowing up sharks, piloting a helicopter, or sorting out a massive Broadway casting call while confronting his impending death. Scheider is the ballast that steadies the entire production, so at ease in the role you'd never know he wasn't a song-and-dance man by training. Maybe his career as an amateur boxer was better preparation for life both as and under the direction of Bob Fosse. Scheider is at his best when showing just how hard Foss.. I mean Gideon works at just about everything: his choreography, the movie he edits in his non-existent free time, his drugs, and his very active love life. Few characters better embody the credo that it's better to burn out than to fade away. With apologies to the movie's many ardent fans, I find most of the Cuisinarted musical numbers to be gaudy and irritating. 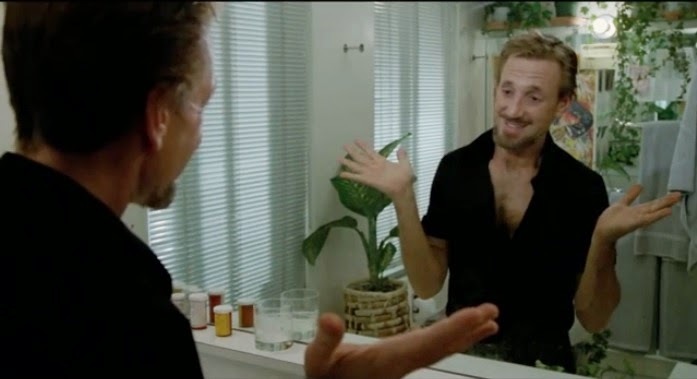 Fosse was used to that kind of criticism and even addresses it with humor in the film when Gideon suffers a second heart attack while watching a vapid TV film critic tear apart his new movie. The film's final number, recently parodied (perhaps “paid homage to” is more appropriate) in the “Eagleheart” finale, is a distinct exception. Actually I guess it isn't much of an exception. Gideon's final farewell is even more ostentatious than every other number, but it is so profoundly heartfelt that it moves me to tears despite my not feeling much for the protagonist up to that point. Whether or not Fosse was indulgent (and don't we want talented artists to indulge that talent? ), he was honest. This was his genuine vision and he worked relentlessly to achieve it. It's not my bag, but it's still damned impressive, and thank goodness he found such a perfect collaborator to realize that vision in Roy Scheider. The film is presented in its original 1.85:1 aspect ratio. Criterion's 1080p transfer is spectacular as usual. Perhaps surprisingly, the film isn't particularly colorful. However the image detail is sharp throughout and the rich grain structure lends it a very filmic look. From the Criterion booklet: “Undertaken by Twentieth Century Fox and the Academy Film Archive in collaboration with The Film Foundation, this new 4K digital restoration was produced from the original camera negative at Sony Colorworks in Culver City, California.” The restoration has certainly paid off. Criterion goes with a DTS-HD Master Audio in the original 3.0 surround track. The lossless sound is sharp and dynamic without a hint of damage or boosting anywhere. Optional English subtitles support the English dialogue. I guess Criterion has embraced the excess that comes with Bob Fosse as they have included thirteen separate extras totaling approximately four hours running time. And that doesn't include the feature-length commentary track by editor Alan Heim, originally recorded in 2007. If that track isn't enough, you also get a Selected-Scene Commentary by Roy Scheider, recorded in 2001 and running 35 minutes in all. Both of the commentaries were included on previous DVD versions of the film from Fox. Other carry-overs from previous DVDs include: “Portrait of a Choreographer” (2007, 23 min.) which includes interviews with Liza Minnelli, Rob Marshall and others; “The Soundtrack: Perverting the Standards” (2007, 8 min. ), a compilation of interviews with composers Glen Ballard, Jerry Casale, Mark Mothersbaugh and Diane Warren; and “The Making of the Song 'On Broadway” (2007, 4 min.) which is an interview with singer-songwriter George Benson. Most of the other features are new to Criterion's Blu-ray. These include a new interview with actresses Ann Reinking and Erzsebet Foldi (2014, 34 min), who play Gideon's girlfriend and daughter, respectively, and also interviews with editor Alan Heim (2014, 15 min.) and Sam Wasson (2014, 21 min.) who wrote the biography “Fosse.” The Heim interview is of particular interest and also encompasses his work with Fosse on “Lenny” (1974). Archival footage includes the Jan 31, 1980 episode of Tom Snyder's “Tomorrow” show, with Fosse and Agnes De Mille as guests (32 min. ), the Mar 8, 1981 episode of “The South Bank Show” (27 min.) hosted by Melvyn Bragg, and a 1986 interview of Fosse conducted by critic Gene Shalit (26 min.) There are also two short on-set featurettes: “Fosse Directing” (8 min.) and an on-set interview with Roy Scheider (4 min.). A Theatrical Trailer (2 min.) rounds out this exhaustive collection. The 28-page insert booklet includes an essay by writer Hilton Als. 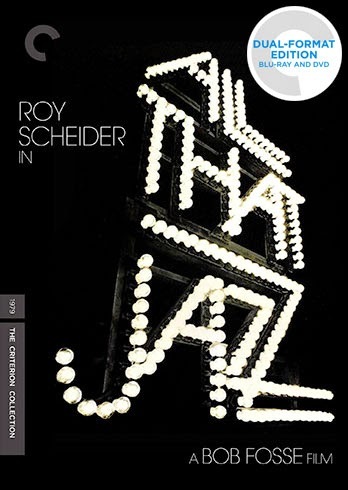 Criterion has released a definitive version of “All That Jazz” with a flawless transfer and as many extras as could be squeezed onto a single Blu-ray, I'm sure. Fans shouldn't hesitate to add this to their libraries.